how do we know jonathan franzen isnt just a banksy installation? Everyone acting mad at Jonathan Franzen. Like none of you have ever literally adopted a child out of abstracted curiosity. I am impressed with Jonathan Franzen's dedication. For my @Time cover on Millennials I briefly considered talking to a Millennial. "Have you considered fostering?" "I have, and I am." 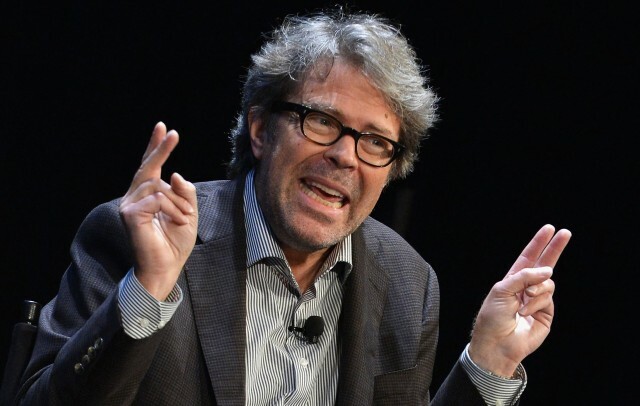 Franzen said, lovingly stroking his journal. "His name is the Great American Novel." Now, in addition to, you know, war, ISIS and poverty, Iraqi orphans have to worry that Jonathan Franzen is coming for them.